Secretary of the Treasury Steven T. Mnuchin seems to think his position with the government affords him perquisites to be paid by the taxpayers. 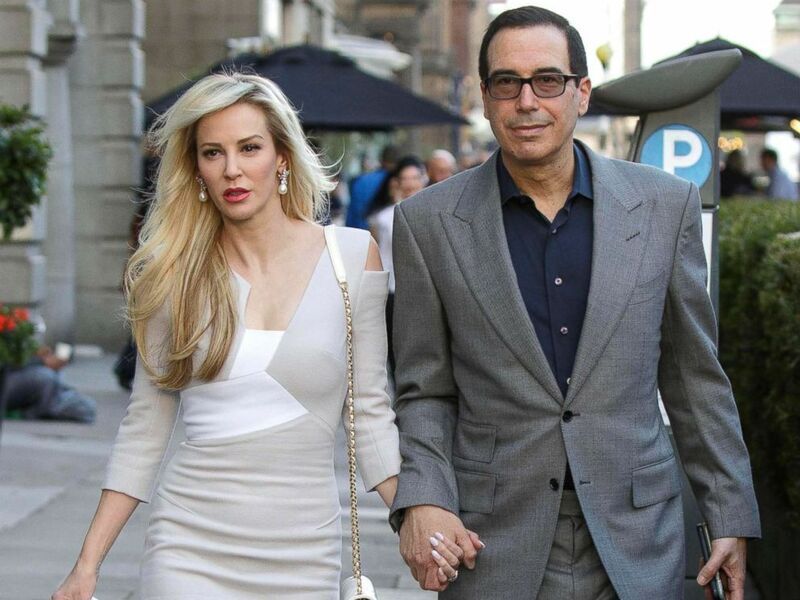 Last June, Mnuchin married actress Louise Linton at the Andrew W. Mellon Auditorium located near the National Mall. Vice President Pence officiated the ceremony. While that was old news, ABC News recently reported that Mnuchin had requested the use of a government plan to fly them on their honeymoon. They had planned a trip to Italy, France, and Scotland. Linton is a native of Scotland. According to ABC News, an Air Force spokesperson said that a U.S. Air Force jet could cost roughly $25,000 per hour for an international flight. Domestic travel is estimated between $10,000 and $15,000 per hour. A request for the jet was requested in writing by the Secretary’s office but later deemed unnecessary following a review by Treasury Department officials. The Department of Treasury Office of the Inspector General (OIG) has acknowledged to ABC that it has opened an official inquiry into this request. This investigation is in addition to the investigation the OIG is making into his trip to Kentucky. The Treasury Department is also being sued by a public interest research group because the department has not responded to their Freedom of Information Act request. Mnuchin becomes the first Treasury Secretary since Andrew W. Mellon to be actively investigated for wrongdoing while serving as Secretary. For reference, articles of impeachment were introduced in the House of Representatives to remove Mellon from office in January 1932. Hearings were held in the House Judiciary Committee. Before the committee voted on the articles of impeachment, Mellon was appointed as the Ambassador to the Court of St. James (the formal name of the Ambassador to the United Kingdom). He resigned as Treasury Secretary and served as an ambassador for a year before retiring to private life. Mnuchin has not commented on the situation. Image courtesy of Alan Simpson Photography/Splash News via ABC News.